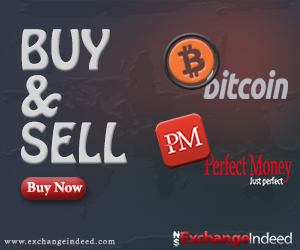 Welcome to ExchangeIndeed referral program. As one of the Nigeria’s largest and fastest-growing referral programs (52,000 Referral Agents and still counting), We appreciate all our customers and reward their efforts to refer people to our reliable and superlative services. With your unique referral link, we pay you 0.4% of the total order of anyone that joins our website through your referral link. There is a detailed statistics where you can monitor all your referral activites, earning and also withdraw your earnings instantly into your Naira Bank account or specified e-currency. For example if you advertise your link in forums, twitter, facebook, blog, email etc, you never can tell how many people can join through you. If in a day your downlines buy like: $11,121.09, you get $44.48 (N14,235.00) credited to your ExchangeIndeed account immediately your down line is funded. These funds are instantly available for withdrawal.